MICHIGAN: DBW's Affirmation Circle 20 & Celebration! RSVP below to get Circle location and a free DBW shirt and eat good at the Circle! What's a Dear Black Women Circle? DBW Affirmation Circles are safe spaces dedicated to Black women, from all backgrounds, speaking life to themselves in community with other Black women. We center affirmations written by Black women to themselves. From these affirmations come connections, resources, healing, release and support. Bring your homegirls and come through to our 20th Circle at 3pm on 8/19! 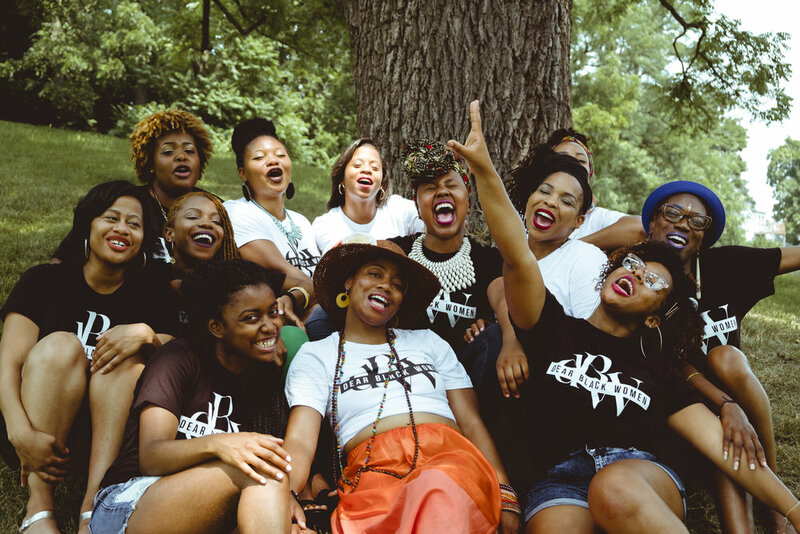 Dear Black Women Affirmation Circles are safe spaces for Black women from all walks of life. Be her religious, spiritual, agnostic, atheist, cis, trans, LGBTQIA, not working or working, in or not in school, 18 year old (the youngest) or 200 years old, penny pinching or balling, single or partnered, differently able, able bodied, mothering or not mothering, etc! All Black women are invited to create and enjoy this safe space! I will honor the Circle by arriving on time at 12pm. If I am running late, I will arrive no later than 30 minutes of the Circle start. I understand there is no admission more than 30 minutes after Circle start. To celebrate, I understand that there may be video and photography! I will be asked to sign a release to be included in video/photos. If I like, I am free to decline and not be in video/photos. Which Shirt Would You Like? We're GIFTING You One @ The Circle! White - "What We're Made Of"
Any Dietary Restrictions? Check all that apply. Nope, Not One Dietary Restriction! YAS!! We can’t wait to stunt and eat with you! Tell any Black women you love who would love DBW to come along! BEFORE the Circle, write an affirmation letter to yourself and submit by 12pm the day of (8/19). Tips to write your letter: HERE. DBW Time: Arrive on time. "DBW TIME" is on time with a maximum of a 30 minute grace period. No exceptions. Please note this. What to Bring: Bring your precious self, an open heart, a homegirl (if you'd like) and a snack or beverage to share (IF you can)!